There were other social networking long before came into existence but I never got interested in joining despite a lot of my friends or family members did. Then when Facebook came, it was something different although the concept was similar to the other social media where people can share photos, make comments and status updates. But, there is something in Facebook that it became a hit with million of members globally. Now Facebook is beyond just sharing photos, updates or inviting friends but Facebook advertising have been taken over by employers or companies to get applicants for a job offers. Likewise, people who are looking for employment have come to Facebook to look for job openings. I already have two friends who found a job through Facebook. Are you an employer or company who wants to try Facebook advertising? Whether you are promoting a product, selling services or wants to hire an employee for your company, WPROMOTE, an online marketing can help you to get results. Call today at 1866.977.6668 to request a consultation or visit their website at http://www.wpromote.com to get more information. Get ready to penetrate the hundreds of millions Facebook members worldwide. When I was pregnant, I did not use any baby sling wrap for my daughter. Although I received one as a baby shower gift, I gave it to my sister-in-law who got pregnant right after my daughter was born. Now I am shopping for one, not exactly them same but a baby pouch for my best friend. She has a five year old and a two month old baby boy. She really needs one to have more ease in shopping or walking at the park. Are you also shopping for a baby sling? 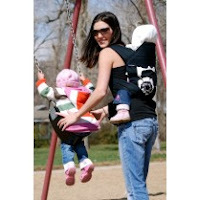 Try to visit the premier baby sling shop online at http://babysling.com. They have all styles of baby sling and shopping is made easy by just selecting by age/weight, by style, by brand, by color or by fabric. Sling accessories, diaper bags and other baby products are also available both at the store and online. View the different images on their website on how baby slings are worn by moms or even dads. It's one way of having a quality bonding time with your baby. 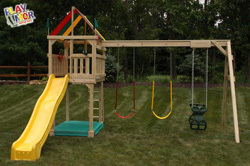 Other than the best and quality products we can find at babysling.com, there are more reasons to shop with them. Shipping is only $7 flat rate, easy returns and no sales tax on purchases. Do not forget to use the coupon to get a free gift with your purchase of $75 or more. Visit babysling.com and enjoy your shopping. This is a new store at the mall we frequent too. Although it is freezing cold outside, it's not a reason why we can't have our favorite yogurt. At frozen peaks, you select what flavor of yogurt you want as a base then add as many topping you desire. The price depends on the weight. You have a choice of having it in a cone or cups of different sizes. This morning, I was running super late to meet with my supervisor. We meet once a month to go over anything that I am having trouble with on the job. I am a substance abuse counselor. My husband usually goes to work at six in the morning, but today, he had to go in at nine like I did. Our schedules got totally thrown off. I ended up getting up late and putting the coffee on late. I looked terrible going to work. To make matters worse, I got my to-go coffee mug and I grabbed the top really quickly, surely enough, the entire cup of coffee spilled all over my clothes and the floor. I was wearing a winter white sweater so I had to change. I quickly logged onto my Gmail account using my clear wireless internet connection and sent my supervisor an e-mail explaining that I was going to be a little late. I know that being tardy is her pet peeve and that she is a little ticked about it, but sometimes things happen that you just can’t control. Unfortunately, they happened to me today when I needed to be on time! The snow last Saturday was a treat for the kids. It was a very calm snow that lasted from early morning up to noon time of Saturday. My daughter kept on asking me to go outside to clean the car. She was offering me to help shoveling but the truth was, she just wanted to go outside and play in the snow. Can i blame her? Her wish was finally granted and the more she got excited when I told her we were going to the park to go sledding. The park is only a block away from our house. As we got there, we saw bunch of kids already at the field with sleds. I just sat myself on one of the portable bleachers watching her play. The seats were filled with snow but not as much as the aluminum bleachers on the other side of the oval field. These are new additions to the soccer field together with the pet waste stations at the park after they have been damaged by the hurricane last summer. The snow was a late comer but it sure did feel like winter. I gave credit to the hand warmer I bought at the hardware store two days ago. I lasted the whole time Isabella was playing in the snow. Who says i cannot post christmas goodies in January? lol. I just saw this on my iphone. These are cookies given to us during the holidays. These are homemade ones and were very yummy. They did not last long. They were gone in few minutes. When It's Going to be Summer Again? When it is winter, you always dream of sunny and warm weather. I am not even complaining because we are having our first snowstorm of the season only today. I am not counting the first one because it happened last October. Today's snow is not that bad, it is actually beautiful and calm but for my daughter, the fact of not being outside to play is not cool at all. She wants to go back to the park and play on the playsets that were recently installed after hurricane Irene destroyed the old ones. Two more months I told her. I hope. A garlic toast, eggs and bacon for Isabella with pink lemonade. And, my egg sandwich on a wheat bread, coffee and watching the snow news on my ipod. Last night, I and the husband were watching a home and garden show where two cousins did a kitchen makeover in the home of a restaurant owner in Hoboken, New Jersey. Of course we know where Hoboken is and how beautiful is that town. If you have visitors coming over to see New York or New Jersey, you have to bring them to Hoboken to see the view of NYC across the river. It is a beautiful town to walk around, dine and go clubbing. On that show we were watching last night, some parts of Hoboken were also featured. We right away missed the place. Last time we were there was about four years ago. We want to go again when the weather gets warmer to try Café Michelina, a casual Italian restaurant located on 423 Bloomfield Street in Hoboken. I already downloaded the cafe Michelina menu so I know what to order before we even get there. By the way, they also deliver and you can order your food online at cafemichelina.com. If you live in the area and happens to be in the mood for Chinese food, Precious Hoboken NJ located at 128 Washington St #1 is very accessible for takeout and delivery orders. They are open seven days a week and closes late at 10:30 p.m. Thanks for the local SEO in NJ, making our internet search so easy. It is about time we should be back in Hoboken. See you soon. It used to be Fridays every TGIF but we have not been going that often anymore. Those were the days when we were still not watching what we eat and counting on cholesterol. lol. But, last night was a treat, to save me from not cooking and rest early for hubby because he is going to work at midnight. Daughter had the classic buffalo wings. It was not spicy for her at all. Served with celery and blu cheese. I had this Bruschetta Chicken Pasta made of muti grain angel hair pasta with bruschetta marinara, garlic basil and tomatoes topped with sliced grilled chicken. The black sauce is balsamic glazed with some parmesan cheese. This is a healthy dish, so filling and the grilled chicken alone can make you full. Are You Affected By Express Scripts Program? Effective January 1, 2012, Express Scripts is no longer a part of Walgreens' pharmacy provider despite negotiations made by Walgreens to have a new contract. Due to these changes, a lot of pharmacy patients covered by an Express Script plan are left with no choice but to go elsewhere, change their pharmacist or deal with less convenient hours to get their prescriptions filled. A lot of people do not like these changes at all, people who have loved and got used to Walgreens pharmacy that has been taking care of them for years, just like me. I have been using Walgreens pharmacy since I was single and now my whole family does. Luckily, I am not one of those affected by these changes between Walgreens and Express Script. So here is what Walgreens is doing for its customers affected by the disruption. They are offering a special discount on the annual membership of Walgreens Prescription Savings ClubWalgreens Prescription Savings Club. An individual can join for only $5 this January special promotion or $10 for a family membership. What are the benefits of joining? You can get savings on more than 8,000 brand name and all generic medications, more than 400 generics are available with a three-month supply for less than a dollar a week. The regular annual membership is $20 and $35 for individual and family. Other benefits included by joining the Walgreens Prescription Savings Club are discounts on flu shots, nebulizers and diabetic supplies plus bonuses when you purchase Walgreens brand products and photo finishing services. I have loved Walgreens through the years. If you feel the same way, show your support and get updates by liking Walgreens on Facebook or following Walgreens on Twitter. I just did.